Whole30 zucchini noodles with lemon garlic shrimp. An easy and delicious weeknight dinner. 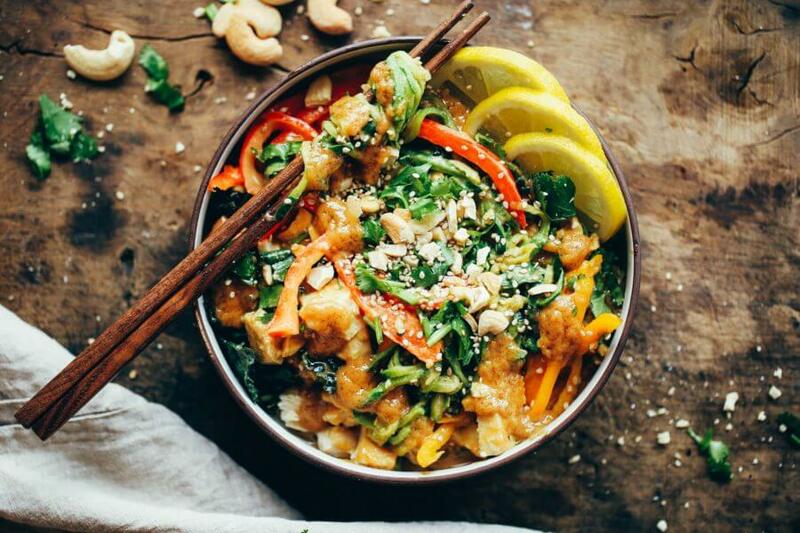 Who’s ready for this healthy low calorie and filling paleo dinner? Heat a skillet over medium heat on the stove and drizzle with olive oil. Add shrimp in a single layer in the skillet and cook for 1 minute. Then add minced garlic, turn shrimp, and cook another minute. Remove cooked shrimp and set aside. Add zucchini noodles and the zest from one lemon to the skillet with the juices from the shrimp. Cook on medium heat until the zucchini noodles are soft, but not mushy. Add shrimp back into the pan and squeeze lemon juice to taste. Top with salt and pepper. 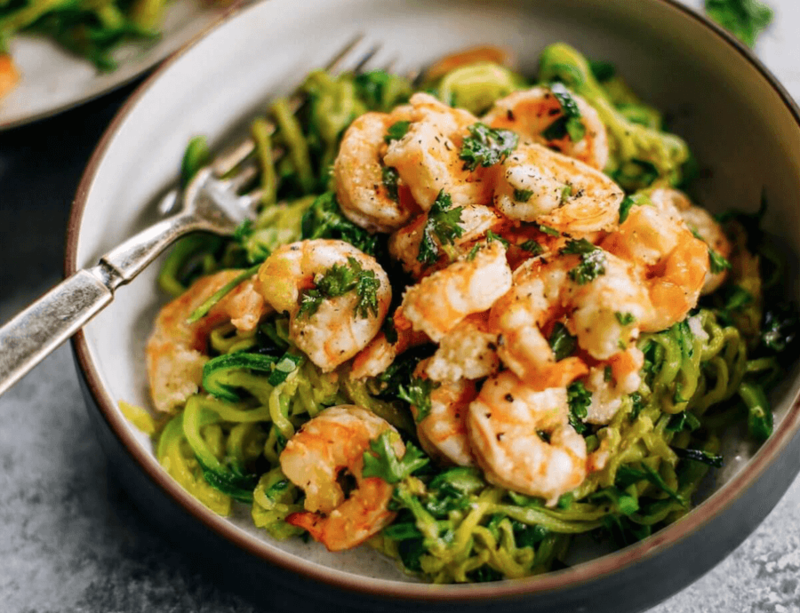 Nutrition Facts Zucchini Noodles With Lemon Garlic Shrimp Amount Per Serving Calories 291 Calories from Fat 81 % Daily Value* Total Fat 9g 14% Saturated Fat 1g 5% Polyunsaturated Fat 1g Monounsaturated Fat 5g Cholesterol 331mg 110% Sodium 410mg 17% Potassium 111mg 3% Total Carbohydrates 15g 5% Dietary Fiber 5g 20% Sugars 8g Protein 41g 82% Vitamin A 39% Vitamin C 144% Calcium 12% Iron 42% * Percent Daily Values are based on a 2000 calorie diet.